Where can I find health insurance quotes for small businesses? Home / FAQ / Where can I find health insurance quotes for small businesses? There are several places where small businesses can shop for health insurance. You can get free quotes online, over the phone or even by visiting health insurance brokers and their company websites. To research and compare health insurance quotes online; enter your zip code now to start shopping for health insurance! According to the National Conference of State Legislatures (NCSL), state and federal laws have certain requirements for health insurance providers. They require providers accept small business owners who are looking for insurance. The provider can determine the premium based on risk factors of the company’s workers as a whole. However, providers can only determine premiums by using general information of the company’s workers, such as age and/or gender. What should a business owner look for in health insurance? When shopping around for health insurance it’s a good idea for the owner to have a list of priorities. Take into consideration your employees health needs overall and if budget is a concern, then make sure you have an idea of how much you can spend before searching. Budget constraints might make it difficult to get the coverage your employees need. It’s also a good idea to see how much employees are willing to spend out of pocket for a great premium. If you have an amount you can pay and an amount your employees can pay apiece, it will be simpler to find a group insurance everyone can benefit from. 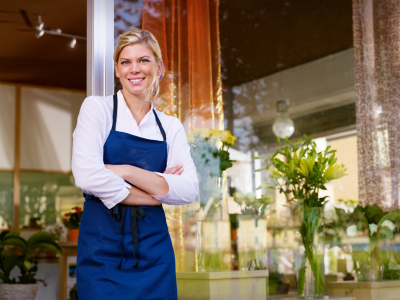 What should a small business owner know about health insurance changes for 2014? Tax credits have been available since 2010 for those small business owners who take on health insurance for their employees. Before signing on with a health insurance policy, it’s important to know whether your business will receive those tax credits. Those who are eligible need to have less than 25 employees and the salary ranges need to be on average, less than $50,000 per year. Whether you are required to have health insurance is another question many small business owners ponder. There are no penalties to those small businesses that do not provide health insurance, however this only includes those companies with less than 50 employees. At the beginning of 2014, many small businesses will start feeling a push for adding health insurance. If a company does not offer health insurance, employees will have to buy an individual plan. By 2014, everyone is required to buy health insurance or else they will have to pay tax penalties. Government subsidies are going to be available for those who need health insurance, but can’t afford it on their own. Small businesses will be charged tax penalties for not having health insurance offered through their company as well. There will be insurance exchanges offered to small businesses by each state in 2014. This will make it easier for small businesses to find health insurance that will meet the federal requirements. The insurance will be called a Small Business Health Options Program Exchange and while small businesses aren’t required to purchase their coverage through the exchanges, they will still have to meet certain federal requirements for health insurance. There are many new mandates for small businesses health insurance, but for those who already have health insurance for their employees before 2014, they will be safe. The government will grandfather company’s current plans so that they can keep the insurance and will be protected from the new mandates. In addition to new mandates, small businesses will need to report different starting as early as this year. Companies will need to report aggregate cost of their coverage on every employee’s W-2. The reported amounts, however, will not be taxed. What are some of the reasons to have health insurance for your employees? With the new tax deductions and requirements set to start in 2014, many small business employers are looking into health insurance. There are many reasons to offer health insurance for employees besides the fact that there are tax deductions. Employees and employers can feel secure about potential or current health issues when they have coverage. Employees have more incentives to stick with a job that offers health insurance than one that doesn’t. In addition, for those employers looking for a competitive edge in the hiring process, applicants respond better to those companies that offer health insurance. No employee can be turned down for insurance because of his or her health. For those employees who have health issues, having coverage through their job is a lifesaver. To check out health insurance rates put your zip code in the box to search for different policies! Where can I find cheap health insurance quotes?